It has been confirmed that the upcoming action RPG Anima: Gate of Memories – The Nameless Chronicles, and the series' original title Anima: Gate of Memories, will both be heading to the Nintendo Switch. Anima: Gate of Memories is a third-person action RPG that tells the story of two beings linked together by an involuntary pact. Forced to stay together, their lives take an unexpected turn when they discover that something darker than they could ever have imagined is about to start - a war in which both will have an involuntary leading role. - Use the Hand of Tanathos, an action system that allows the Unnamed name to temporarily join Death. - Customise your game style with upgradable skills. - A story full of unforgettable characters. - Epic battles against formidable and legendary enemies with unique characteristics. - Equip yourself with dozens of weapons and artifacts. - A huge world: move freely and unlock new areas. The trailer above is for the upcoming sequel, but you can also check out the first game's original trailer right here. The two games will be available on Switch both individually and as a bundle. They’ll cost €19.99 on their own, or €29.99 if you grab them together. Release dates for these titles haven't been confirmed just yet, with the developer reportedly striving for 60fps Switch performance before release. Are you ready for some more action RPG goodness on your Switch? Let us know if you'll be keeping an eye out for these in the comments. Never heard of these. I'm guessing they're hitting the eShop. I hope they get a physical release. Not entirely convinced, but I'm intrigued/tempted. Will put this on the wishlist for a possible purchase in the future, depending on how it reviews. Interested in the bundle. But surprising how much the first game is when its normal price elsewhere is half that. We getting anything different or extra? Ah, this one clearly is related to the tabletop games, unlike Masters of Anima. Kinda funny for there to be a video game of it, as it was originally an attempt to recreate a JRPG as a pen and paper one. At least some piece of good news for today. Looks like it'll be getting a physical also. Why does this game call it Hand of Tanathos? Thanatos is the Greek God of Death. This is a very silly single letter shift that makes it feel like the dyslexia rather than naming creativity. Game looks like it could be fun. It's certainly no Bayonetta, but I'd give it a chance. 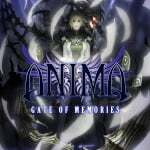 Anima was one of the few games that made me want to hurl my controller, uneven difficulty spikes and abyssmal platforming, it really was bad and I really tried to like the game but too many issues plagued it. 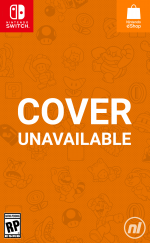 Hopefully they can address those issues on the switch release...but highly doubtful. Hmmm Looks like I might have to get this.